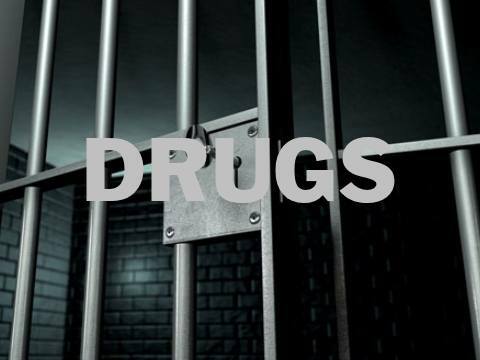 Hinton, Alberta – Police across west Yellowhead County took aim at the activities of street-level drug dealers and laid 48 charges against eight people earlier this year. Alberta Law Enforcement Response Team members joined Hinton, Edson and Jasper RCMP in the operation between January and April. Hinton RCMP made arrests in early April. Shawn Sokolowski, 48, was arrested and charged with three counts of trafficking cocaine and the proceeds of crime as well as court order breaches. He remains in custody. Taylor Winterbottom, 29, was arrested and charged with three counts of trafficking cocaine, unauthorized possession of a firearm, unsafe storage of a firearm and the proceeds of crime. A search warrant was conducted on his residence and multiple firearms as well a large quantity of ammunition was seized. Taylor Winterbottom was released from custody and was placed on several conditions. He is set to appear in court in Hinton on April 17, 2019. Peter Pacholok, 47, was arrested and charged with two counts of trafficking cocaine and the proceeds of crime. Peter Pacholok was released from custody and was placed on several conditions. He is set to appear in court in Hinton on April 17, 2019. Crystal Chaye, 21, was arrested and charged with three counts of trafficking cocaine, possession of cocaine, and proceeds of crime. Crystal Chaye was released from custody and was placed on several conditions. She is set to appear in court in Hinton on May 1, 2019. As these matters are now before the courts no further information will be provided.